This version of the history of the Australian Cattle Dog was written by Noreen Clark and is published in her book "A DOG CALLED BLUE". This is the first researched and documented history of the ACD. The Australian Cattle Dog and his cousin, the Australian Stumpy Tail Cattle Dog, share common origins in the Halls Heeler, a distinct working-dog breed developed in the 1830s by Thomas Hall. Need drove the development of the Halls Heeler and the early history of both breeds is interlocked with the history of the Hall family and the growth of the Hall cattle empire. Jack, exhibited as a Cattle Dog in 1898. Successful exploration during the 1810s discovered rich grazing land to north, west and south of the highlands that surround Sydney. 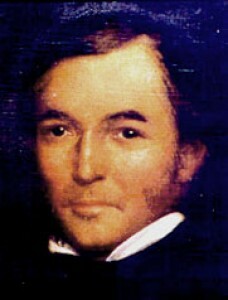 John Howe, a close friend of George Hall, established a useable track from Windsor to the Hunter River in 1819 and in 1824 the younger Halls, including Thomas, explored the Upper Hunter Valley with the intention of selecting land. By 1825 the Halls had established two cattle stations in the Upper Hunter Valley, Gundebri and Dartbrook. Thomas Hall settled at Dartbrook and his home became the base for the northward expansion of the Halls' pastoral interests into the Liverpool Plains, New England and Queensland. Droving from the Hunter Valley stations to the Sydney meat markets, along John Howe's original track, was difficult because of dense scrub and difficult terrain. Droving from the Liverpool Plains runs to Sydney presented a more acute problem. In droving terms, thousands of head of cattle had to be moved for thousands of kilometres along unfenced stock routes, including through the rugged Liverpool Range. A note, in his own writing, records Thomas Hall's anger at losing 200 head in scrub. A droving dog was desperately needed but the colony offered nothing suitable. The colonial working dogs are understood to have been of Old English Sheepdog type (commonly referred to as Smithfields), imported from the south of England. Jack , a dog of this type, was photographed at the Metropolitan Intercolonial Exhibition, Sydney, in 1898, where he was exhibited as a Cattle Dog. With their heavy build, shaggy coats and intolerance to climatic and vegetation conditions, the Colonial Smithfields were useful only over short distances and for yard work with domesticated cattle. Thomas Hall addressed the problem. For some years, Thomas had kept Dingoes at Dartbrook for study and realised that they had potential in the development of a working dog. He now looked for a second breed to cross with Dingo. Probably on the advice of his parents (both from farming backgrounds), Thomas imported Drovers Dogs from his parents home county, Northumberland. For convenience the Hall family historian, A J Howard, gave these dogs a name: Northumberland Blue Merle Drovers Dog; drovers dog for their function and blue merle for their blue mottled colour. These Drovers Dogs had long been bred for their working characteristics and distinctive colour by ancestral Halls and other farmers in Northumberland and across the border in Scotland. By the early 1830s, when Thomas Hall imported his Drovers Dogs, these and many other Drovers Dog strains were becoming extinct in Britain. The distinctive blue colour, however, is still to be seen in some modern British working dogs. It is not associated with the Merle gene. The Cur Dog, from an engraving by Thomas Bewick. The origins of the Northumberland Blue Merle Drovers Dog are obscure. The short coat, conformation and natural taillessness of the Cur Dog, illustrated by Bewick and other early British writers, suggest that the Cur was one of the ancestors. Some of these early writers describe the Cur as a Drovers Dog. Thomas Hall's imports may, or may not, have been tailless themselves. As possible carriers of taillessness, they are the most likely source of taillessness in the Australian Stumpy Tail Cattle Dog. Thomas Hall crossed his Drovers Dogs with his Dingoes and by 1840 was satisfied with his resultant breed. During the next thirty years, the Halls Heelers, as they became known, did not disperse beyond the Hall properties. The Halls were dependent on the dogs and, given the number and size of the runs needing Halls Heelers, it is unlikely that there was a surplus. Besides, the dogs gave the Hall family an advantage over its competitors in the cattle industry. After Thomas Hall's death in 1870, the Hall cattle empire came to an end. The runs in northern New South Wales and Queensland went to auction with the stock on them and, for the first time, Halls Heelers became freely available. Some were retained by stockmen from the former Hall properties and others were eager to own them. It is thought, for example, that the stockman, Jack Timmins, acquired his famed Timmins Biters (Halls Heelers) at this time. The wholesale butcher, Alexander Davis, is said to have brought Halls Heelers to Sydney, from the Hunter Valley, to work in his cattle yards and move cattle from yards to abattoir. By the 1890s, Halls Heelers, by then known simply as Cattle Dogs, had attracted the attention of several Sydney dog breeders with interests in the show ring, of whom the Bagust family (particularly Harry Bagust, c.1860-1914) was the most influential. In 1897, Robert Kaleski (1877-1961) drew up the first Breed Standard for the Cattle Dog. Kaleski's Standard was published by the NSW Department of Agriculture in 1903 and re-published in 1910. From 1903 until his death, Kaleski campaigned tirelessly for true recognition of Australian stock dogs - Cattle Dogs and Kelpies. Also in the 1890s, Cattle Dogs of Halls Heeler derivation were seen in the kennels of exhibiting Queensland dog breeders such as William Byrne of Booval (near Ipswich). It is thought that these Cattle Dogs were obtained from former Hall properties in southern Queensland and northern New South Wales. The early exhibited Cattle Dog population in Queensland differed from the parallel population in New South Wales. The Queensland population included both long-tailed and stumpy-tailed types and both types were exhibited in the same classes. Stumpy-tailed exhibits were sufficiently strong in numbers by 1917 for some shows to have introduced separate classes for long-tailed and stumpy-tailed entrants. Queensland also had a marked preference for blue. Stumpy Tail Cattle Dogs appear not to have been exhibited in New South Wales and there is evidence of strong discrimination against them. Red speckled Cattle Dogs were, however, accepted in New South Wales and the Royal Agricultural Society of New South Wales introduced separate classes for them in 1918. The early Queensland population progressively lost its identity, however, except in the kennels of the few breeders that were dedicated to Stumpy Tail Cattle Dogs. William Byrne (his early breeding included stumpy-tailed Cattle Dogs) is the first Queensland breeder known to have favoured New South Wales bred Cattle Dogs. His first was Rowdy , probably whelped 1899, and others followed during the next twenty years. Byrne may even have set a trend; other breeders certainly followed his lead. The number of Sydney bred dogs found in Brisbane and Ipswich kennels increased during the 1920s and 1930s. They included Little Logic , whelped 1939. There was no corresponding Sydney interest in Queensland-bred dogs until after World War II. Cattle Dogs, known as Australian Heelers or Queensland Heelers, became an exhibited breed in Victoria during the 1930s and Victorian breeders also shopped in Sydney. Royal Shows were suspended during World War II and resumed in 1947. Sydney exhibitors saw Little Logic offspring, for the first time, among entrants at the Sydney Royal of 1947. These exhibits, and their sires' show record, created immediate demand for Little Logic's lineage. By the end of the 1950s, there were few Australian Cattle Dogs whelped that were not Little Logic descendants. The convergence on Little Logic continued into the next generation when Little Logic's best known son, Logic Return , also attained prominence in the show ring and popularity at stud (initially in Brisbane and later in Sydney). The prominence of Little Logic and Logic Return in the pedigrees of modern Australian Cattle Dogs was perpetuated by Wooleston Kennels. Whelped in 1965, Wooleston Blue Jack was line bred to Little Logic and Logic Return , and Wooleston Kennels subsequently line bred to Wooleston Blue Jack , himself. For some twenty years, Wooleston supplied foundation and supplementary breeding stock to breeders in Australia, north America and Continental Europe. As a result, Wooleston Blue Jack is ancestral to most, if not all, Australian Cattle Dogs whelped since 1990 in any country. Looking back from a 2000's perspective, Wooleston's most influential client was Tallawong Kennels in Victoria. Starting with Wooleston Blue Jenny , Tallawong line bred to Wooleston and, by the late 1970s operated as a closed kennel, breeding back to its own lineage. No other lineage is as pervasive in the Australian Cattle Dog population of the 2000s as Tallawong and no dog's descent is as strongly expressed in the modern population as Wooleston Blue Jack's , both via Tallawong and independently of that lineage. Robert Kaleski, a younger breeding associate of Harry Bagust, was a tireless advocate and long-term publicist for the Cattle Dog and other Australian working dogs. Without him they would have lacked an effective voice. He was heard frequently, and particularly in Sydney's weekly newspaper, the Sydney Mail , appealing for true recognition of the role that Cattle Dogs and Kelpies had played, and were playing, in Australia's cattle and sheep industries. In the pages of the Sydney Mail , Kaleski begged the organisers of the Sydney Royal Show to increase the prize money offered to the agricultural breeds, as an incentive to working stockmen to exhibit their dogs. He pointed out that suburban breeders, being unaware of their importance, were likely to lose some of the important working characteristics in the dogs they bred. Some of his comments on the exhibited dogs of the 1920s and 1930s show that he saw evidence that some Sydney breeders were breeding Cattle Dogs of a type that were far removed from the Cattle Dogs of the early 1900s; photographs from the period support his observations. His pleas for higher prize money went unheeded. Kaleski compiled the first Standard for the Cattle Dog breed in 1897 and had it published, with photographs, by the New South Wales Department of Agriculture in 1903 and 1910. Nipper , bred by Harry Bagust, appears to be a classical exemplar of the breed that Kaleski described and is probably close to Halls Heeler in type and conformation. Rural Cattle Dogs, photographed in the 1940s and believed to have been bred from Halls Heeler stock, are similar. Kaleski's Standard was taken up by breed clubs in Queensland and New South Wales and re-issued as their own, with local changes. Despite the modifications to Kaleski's Standard and despite Kaleski's own prejudice against red coat colour and taillessness, his Standard was the first great step in establishing the breeds identity. Kaleski's Department of Agriculture publications in the 1910s are written with authority and, combined with the photographs that accompanied them, give insight into the early development of the Cattle Dog and the breed type for which he wrote the Standard. In his later writings, however, Kaleski introduced some contradictory and unlikely assertions. With the passage of time, these have been generally accepted. The most enduring of Kaleski's myths relate to alleged early Dalmatian and Kelpie infusions, said to have been introduced by the Bagusts into the early Cattle Dog breed. These infusions are not referred to in Kaleski's writings until the 1920s and there is no evidence that they occurred in the mainstream early development of the Cattle Dog. Kaleski was preoccupied by similarities. For example, for him a red Cattle Dog looked more like a Dingo than a blue Cattle Dog did; therefore there was more Dingo in its total make-up. It seems likely that Kaleski sought to explain the Cattle Dogs mottled colouration and tan on legs by similarity to the Dalmatian and Kelpie, respectively. Having done so, he had then to produce reasons for introducing these breeds, and particularly the strange choice of Dalmatian. The genetics of coat colour, alone, make the Dalmatian an extremely unlikely mainstream ancestor of the Australian Cattle Dog. In 1911 the Cattle Dog would, according to Kaleski, "make any horse or beast lead, and watch his owner's property when the latter was away from it" and would "gallop to the head of a mob and hold it there". A working dog of perfection. From a functional viewpoint, the alleged Dalmatian infusion (it was first mentioned in the Australian Encyclopaedia in 1926) was "needed" to instill a love of horses and guarding instincts into the breed and the alleged Kelpie infusion was "required" because the Cattle Dog "could not be sent ahead to block or wheel [the mob]". Kaleski's reasons for these infusions were in complete contradiction to his earlier (1911) statements. In 1935, by which time the Bagusts were long dead, Kaleski re-affirmed both infusions and specifically attributed them to the Bagusts. The Dalmatian and Kelpie myths became increasingly elaborate with time and eventually Kaleski was able to tell us which Dalmatian (he belonged to "one of the Stephens, a very old Sydney legal family") and which Kelpies (black-and-tan dogs, "Maidens dogs, if I remember aright"). Kaleski also mentioned an early Bull Terrier infusion, but not by the Bagusts. Given Kaleski's self-contradictions and the belated accounts of the alleged Dalmatian and early Kelpie infusions, it is unlikely that either occurred although the Bull Terrier infusion is probable. This was also the opinion of Alan Forbes ( Pacific Kennels), who lectured to trainee judges during the 1960s for the RAS Kennel Control, and of Berenice Walters, Wooleston Kennels. Various other infusions have certainly occurred during the last 100 years, either by accident or by design. The photographic record includes some very atypical Cattle Dogs, and chocolate and cream miscolour in both modern Cattle Dog breeds has been substantiated. Dingo re-infusions are also well known, dating from the early years of the twentieth century to more recent dates. Despite his lapse in the matter of breed origins, however, it is hard to believe that the Cattle Dog breeds would have endured without the dedication and commitment of Robert Kaleski. Stumpy Tail Cattle Dogs were evidently taken for granted in Queensland; a stumpy-tailed Cattle Dog illustrated an article on the Cattle Dog in The Courier-mail Dog Book (1938). The Australian Stumpy Tail Cattle Dog and the Australian Cattle Dog share the same early ancestry (see above). Both breeds were developed from the Halls Heeler and it is thought that Thomas Hall's imported Drovers Dogs carried the gene for taillessness if, indeed, they were not stumpy-tailed themselves. The later development of the Australian Stumpy Tail Cattle Dog, however, diverged from that of the Australian Cattle Dog. Thomas Hall's developmental breeding was carried out on Dartbrook and Hall is understood to have been satisfied with the result by c.1840. No records survive but it is unrealistic to suppose that Hall retained direct and personal control of all later breeding. The size of the properties operated by the Hall family, and their distance from the Sydney markets had driven the development of the Halls Heeler. Similar factors would have persuaded decentralised breeding. It is thought that, after c.1840, the stockmen on the various Hall properties bred their own dogs, with interchange of breeding-stock between one property and another. As a result of decentralised breeding, the Halls Heeler seems to have developed two strains: those bred on properties in northern New South Wales and Queensland, and those bred in the Upper Hunter Valley (Dartbrook) and further south. It would appear that the incidence of stumpy-tailed Halls Heelers was greater in the northern strain than in the southern strain. Emphasis was on breeding for working ability and stamina and, if the stumpy-tailed Halls Heelers were workers of excellence, their taillessness would have been disregarded. After Thomas Hall's death in 1870, the Hall cattle empire came to an end. The runs in northern New South Wales and Queensland went to auction with the stock on them. Halls Heelers from the postulated northern (stumpy-tailed) strain were already in Queensland and northern New South Wales, and generally available to stockmen from the early 1870s. By the 1890s, the Cattle Dog was an exhibited breed in Queensland. Although separate classes were not scheduled at Brisbanes National Agricultural and Industrial Association shows until 1917, it is evident that the earlier Cattle Dog classes attracted both long-tailed and stumpy-tailed entrants, and that some of the entrants were related. In some shows, Stumpy Tail Cattle Dogs comprised 50% of the Cattle Dog entry. During the years following World War I, the popularity of the Stumpy Tail Cattle as a benched breed began a decline. The period saw a corresponding increase in the popularity of long-tailed Cattle Dogs with Sydney breeding behind them. A change in the regulations governing litter registrations, during the 1950s, accelerated the decline. By the 1960s, only one registered breeder of Stumpy Tail Cattle Dogs remained: Mrs Iris Heale of Glen Iris Kennels. By the 1980s, it became apparent that the Stumpy Tail Cattle Dog, as a registered breed, was approaching extinction. In 1988, the Australian National Kennel Council announced the Stumpy Tail Cattle Dog Redevelopment Scheme. The Upgrade Program, subsequently implemented, has been successful in its basic aim: that of preserving the bench breed. The name of the breed was changed to Australian Stumpy Tail Cattle Dog on 1 January 2002 and in December 2002 the Breed Standards Commission of the Federation Internationale Cynologique accepted the Country of Origin Breed Standard for the Australian Stumpy Tail Cattle Dog. In type, the Australian Stumpy Tail Cattle Dog has remained more faithful to the inferred Halls Heeler type, as expressed by Nipper , than has the Australian Cattle Dog. The onus rests with judges and breeders, to ensure that the Stumpy's distinctive type does not degrade. Dog 1840-2000. N R Clark, Sydney, 2003. A Dog Called Blue , Chapter 10. N R Clark, Sydney, 2003. Stumpy Tail Cattle Dog., in N R Clark: A Dog Called Blue , Chapter 12. N R Clark, Sydney, 2003. Called Blue , Chapter 11. N R Clark, Sydney, 2003. All photos are taken from google. We do not intend to infringe copyright.